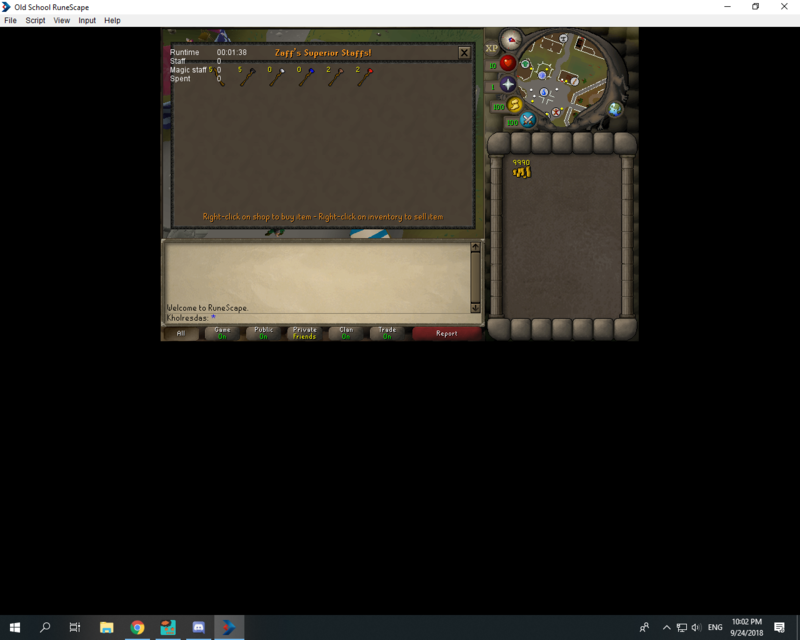 Can you add the fishing shop in Port Serum? 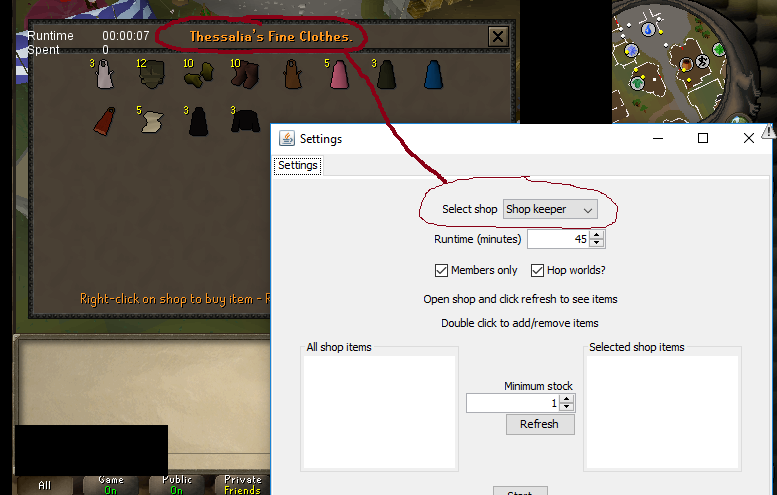 Would be great for buying feather packs. If you're just buying stackable items or packs it won't try to bank and should still work. So it will open packs? Yes. 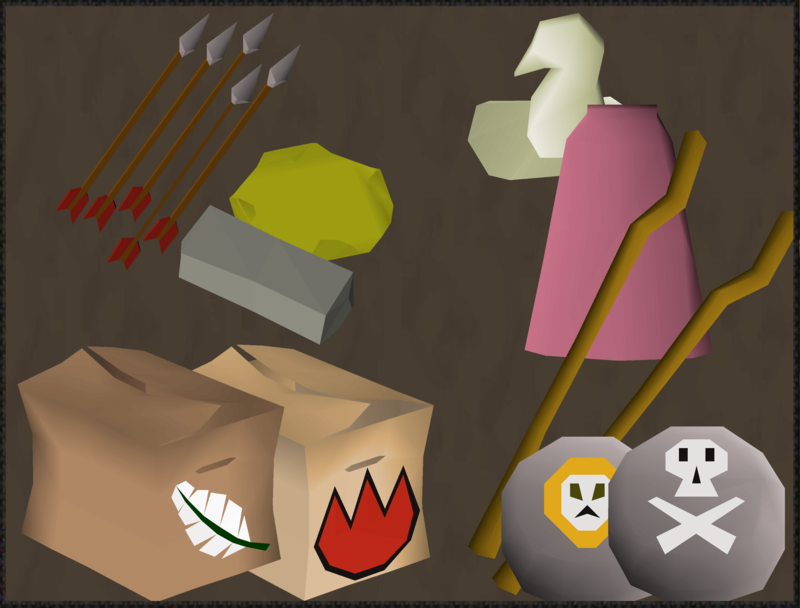 Feather packs, rune packs, compost packs, anything. Make sure you select the right NPC, I had to add npc selection since in the mages guild, there's two people you can trade in very close proximity. Should have said that earlier. Can you post the log? I'll try to figure out why it doesnt work on the public sdn. Names should be working now. 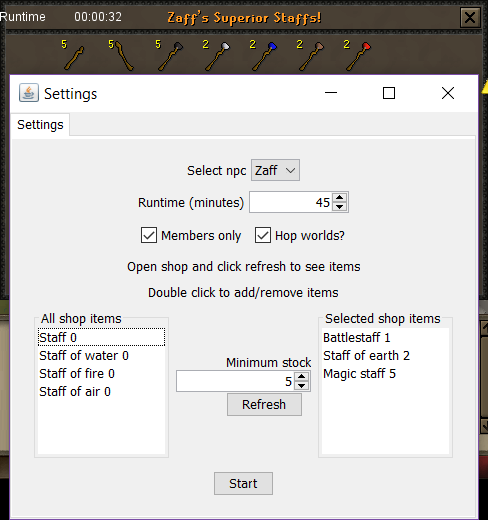 Im in varrock, when I select the shop to buy from, after refreshing it still go back to Shop keeper selection. 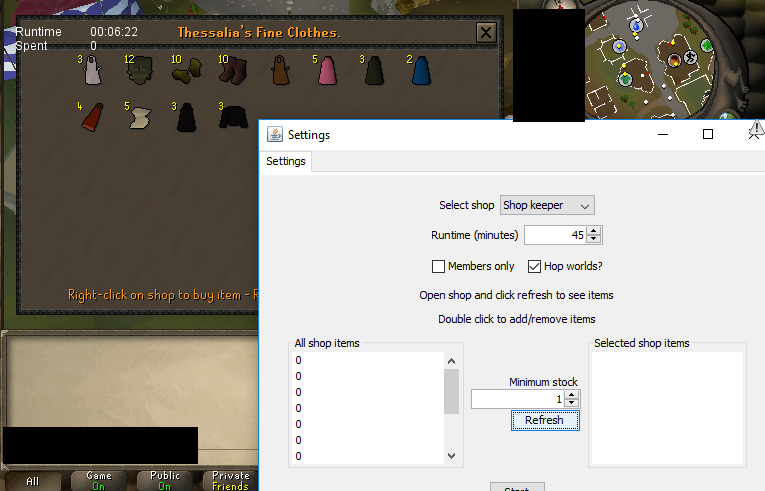 Make sure the shop interface is open. Send a screenshot. You're not being very descriptive. When did you last try? Running using the public script everything's working for me. 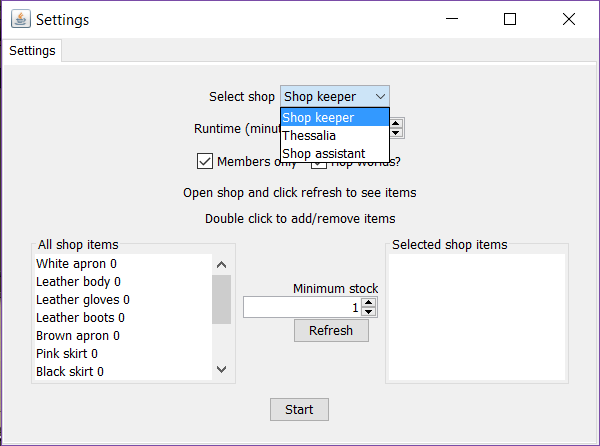 I'll sort the npcs by nearest so you shouldn't have to click the dropdown. Under Help>View log, paste the contents. 0100 The script will automatically stop after 4 hours. VIP subscribers and Premium scripts have no time limits. You only have 10k, script stops when less than 10k. Why would you even use a script with so little gp.